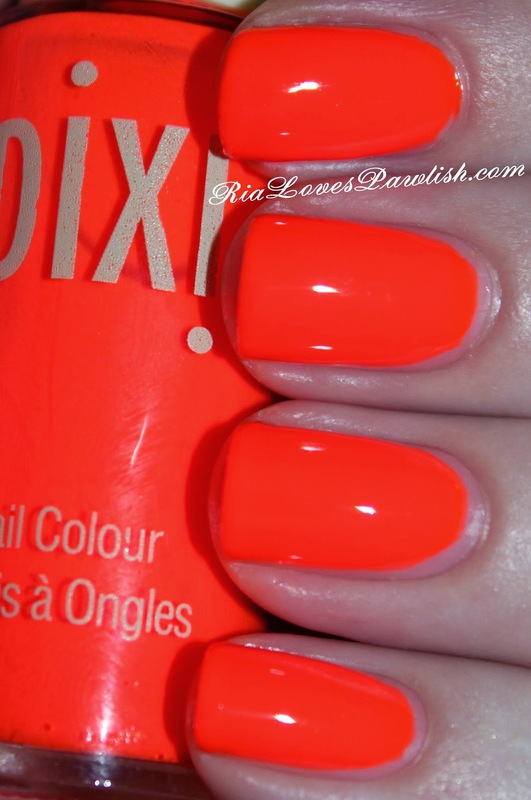 three coats Oh So Orange, one coat Butter London Nail 999 Rescue Topcoat. these polishes retail for $8. you can find Pixi products at Target stores,www.Target.com, and www.PixiBeauty.com! !